From the main Narrative1 menu, or via right-click. The utility moves worksheets from one Narrative1 file to another. Because of the named ranges in Excel, it is critical that this utility be used when moving sheets between Narrative1 workbooks. Please note, this procedure is much more technical than it appears and does work on all files, especially files with heavily customization and links to external data sources. If the procedure fails, please contact Narrative1 at support@narrative1.com. IMPORTANT: Always back up the target file before moving worksheets. Never move Narrative1 sheets between files manually. Sets Subject Location Map options for map size, type and zoom. 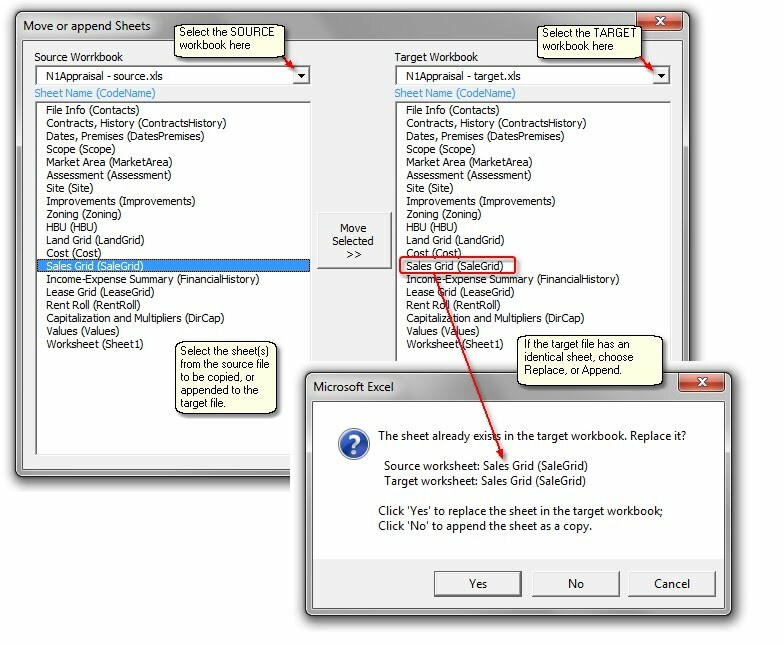 N1Appraisal.xls workbooks published on or after 9-7-10 have a button on the Site worksheet that accesses these settings. Older worksheets can run the settings from here. Deleting Excel rows, columns, or worksheets can create bad range names. This utility will remove bad range names from the file. This will add a new sheet to the workbook and list all the named ranges in the Excel and the reference for the name. This is handy for finding bad links or links to external files. This for backwards compatibility for older Excel files that do not have the Update Project Status button on the File Info sheet. Note that older files will need to have project status fields added to the sheet. See Project Management. A more robust, but slower method for merging tables. 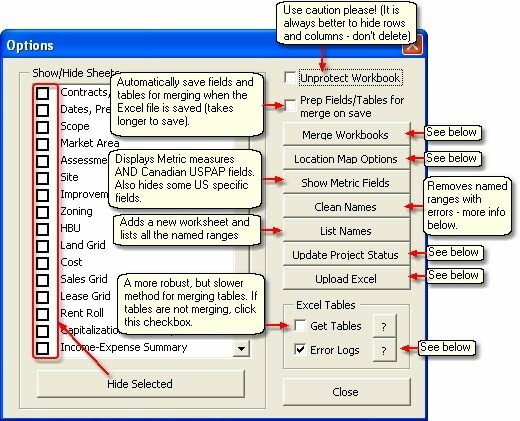 If tables are not merging, click this check-box. Enables error logging if there is a problem with the merge function. Intended for Narrative1 support personnel. 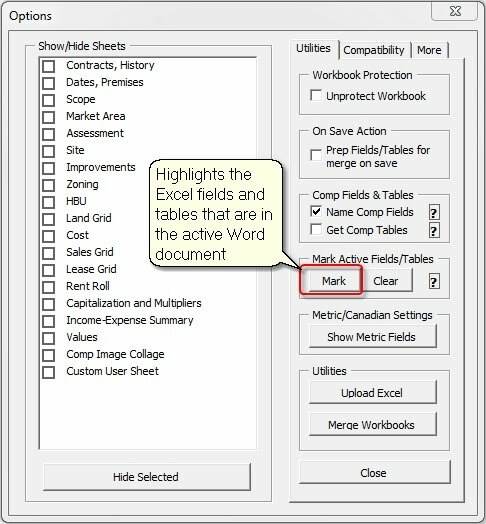 In Excel Narrative1 Options, select Mark Fields and Tables. This will place a light blue highlight on the fields and tables located in the Word document. Note that highlighting in Excel will not show in Word.